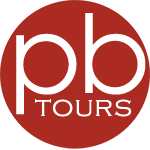 Hello book lover! 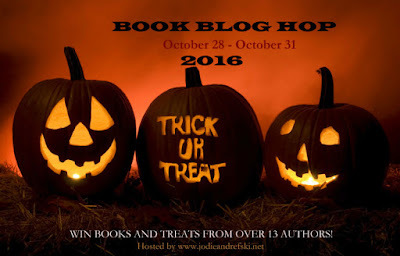 If you're reading this, you're probably on the hunt for the grand prize in the Trick or Treat Blog Hop -- OR you've stumbled across this and can now start the hunt! 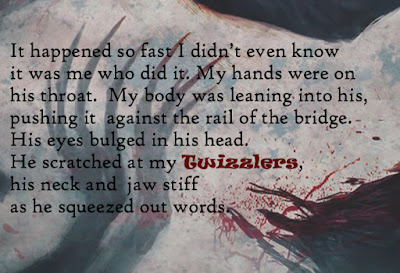 Tricks can be fun, be TREATS are way better. 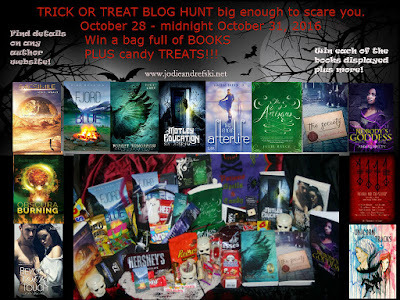 And this contest gives you a chance to win a ton of treats in the form of signed books, ebooks, candy, book swag and more from 13 authors!! We know...it's kind of SPOOK-TACULAR! So how do you snag the loot? It's simple, and you don't even have to dress up and walk in the cold door to door to get the goodies. 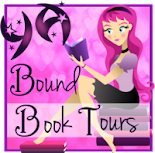 Visit each of the THIRTEEN participating author websites. You will find the name of the candy/treat they are giving away, as well as what BOOK they are offering as part of the PRIZE PACK! Be sure to write down the name of the treat, you'll need it later. A creepy-awesome black canvas tote bag with a cool skull filled with each of the books noted below as well as bookmarks and other great book swag. 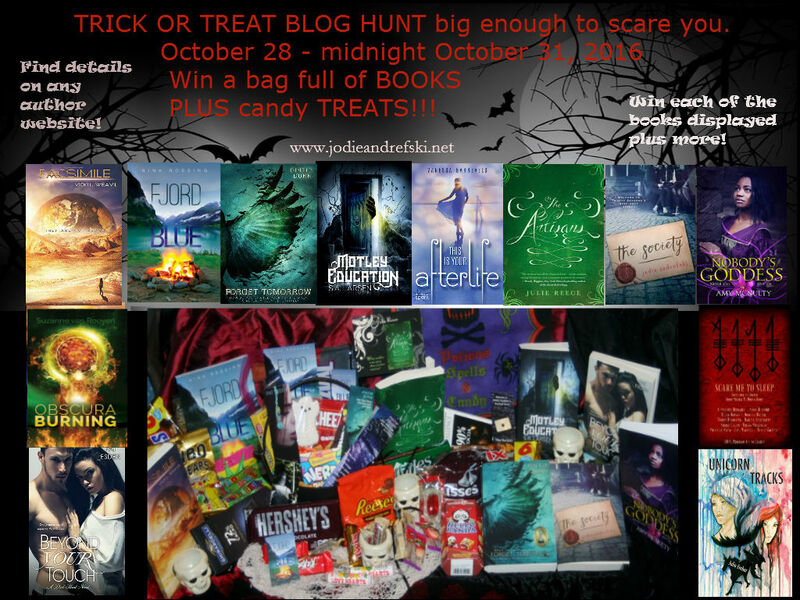 You will also win all of the treats that the author's list on their pages PLUS a bunch of other candy treats all in a black plastic cauldron. You'll even get the cute little plastic skulls shown in the prize photo. And now, for my treat. 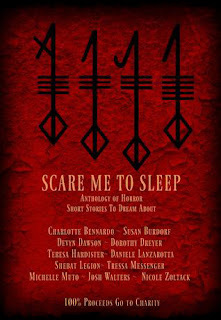 This is an excerpt from THE FIRST MOURNING, a short horror story from the newly released Kindle category bestseller SCARE ME TO SLEEP anthology which is available here. 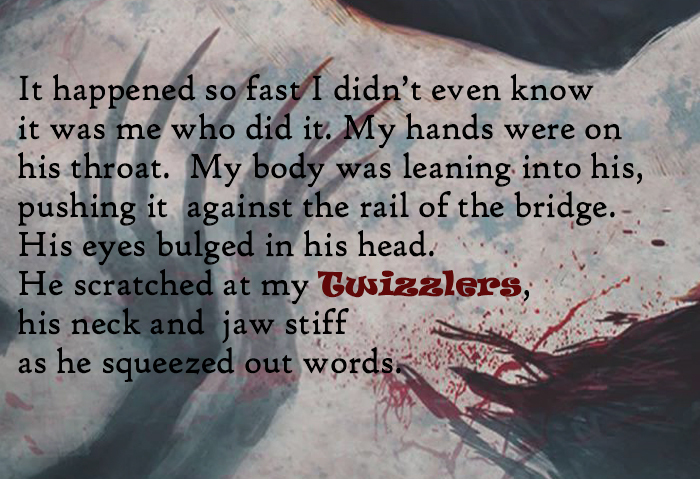 For your next stop on the hop, click here to visit author Julia Ember's Blog HERE. Good luck on the hop! 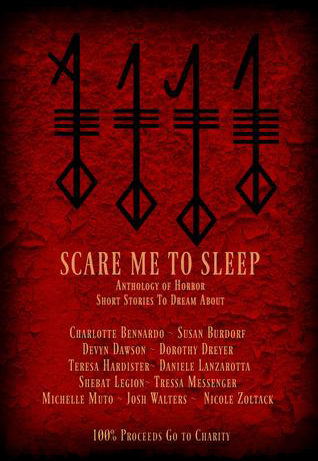 Out now for Kindle, soon to be released in print.